Abeona Therapeutics Inc. (NASDAQ: ABEO) is a clinical-stage biopharmaceutical company focused on developing novel therapies for life-threatening rare genetic diseases. Developing therapies for rare disease requires new approaches and strong collaboration between researchers, industry, regulators and patient groups. Abeona was forged from the company's close collaborations with key stakeholders all dedicated to transforming new biotechnology insights into breakthrough treatments for rare diseases. Working together to deliver cell and gene therapies for people impacted by serious diseases. Our strategy to harness the promise of genetic medicine to transform the lives of patients is inspired by our vision, to realize a world where cure is the new standard of care. A rare disease is one that affects fewer than 200,000 people in the United States. There are nearly 7,000 rare diseases, which may involve chronic illness, disability, and often, premature death. More than 25 million Americans and 30 million Europeans have one. While rare diseases can affect any age group, about 50% of people affected are children (15 million); and rare diseases account for 35% of deaths in the first year of life. These rare diseases are often poorly diagnosed, very complex, and have no treatment or not very effective treatment—over 95% of rare diseases do not have a single FDA or EMA approved drug treatment. However, most rare diseases are often caused by changes in genes—80% are genetic in origin and can present at any stage of life. The Roman Goddess who protects children as they take their first steps away from home. 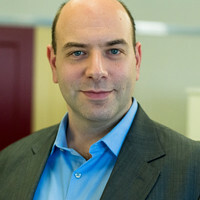 Timothy J. Miller, Ph.D., joined Abeona as President and Chief Executive Officer in 2013 and transitioned to President and Chief Scientific Officer in April 2018, bringing 16 years of experience in scientific research, product development, regulatory and clinical operations, with a focus on transitioning novel biotherapeutics through pre-clinical phases and into Phase 1 and 2 human clinical trials. Dr. Miller served as President and CEO of Red5 Pharmaceuticals from 2013 to 2015 and was Vice President of Business Development at BioEnterprise Inc. in 2015. Prior to Red5 Pharmaceuticals, he served as Senior Director of Product Development at SironRX Therapeutics from 2010 to 2013. Dr. Miller also held various positions at several companies focusing on gene therapy and regenerative medicine from 1996 to 2010. He earned his Ph.D. in pharmacology with a focus on gene therapy and cystic fibrosis from Case Western University. Dr. Miller also holds a B.S. in biology and M.S. in molecular biology from John Carroll University in Cleveland. Christine Silverstein transitioned to CFO from Senior Vice President of Finance & Investor Relations, in January 2019 and brings 15 years of experience in capital markets strategy, financial services, investor relations and healthcare media communications to the Company. Prior to joining Abeona, she served as Head of Investor Relations at Relmada Therapeutics, Inc., a clinical stage, publicly traded specialty pharmaceutical company. Before that, Ms. Silverstein was a Managing Director at SCO Financial Group, a New York-based corporate advisory firm, where she focused efforts on helping clients build robust investor relations infrastructures and providing strategic financial counsel. Earlier in her career, she held senior positions at two boutique New York investor and public relations agencies, The Investor Relations Group (IRG) and Corporate Profile LLC. Ms. Silverstein's core focus during her agency tenure included consulting C-level management on capital markets strategies, media, fundraising initiatives, crisis management and regulatory issues. She began her career in the financial services as a registered investment advisor (RIA) at Royal Alliance Associates before moving to the investor and corporate relations industry. A member of the National Investor Relations Institute, Ms. Silverstein holds a B.S. from the Peter Tobin College of Business at St. John's University. Max Colao joined Abeona as Chief Commercial Officer in 2018, bringing more than 20 years of global pharmaceutical and biotechnology experience. 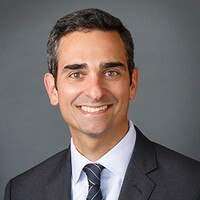 Prior to Abeona, he most recently served as Senior Vice President of U.S. Commercial Operations at Alexion Pharmaceuticals where he led a team of several hundred people and was responsible for $2 billion in sales across three franchises. Mr. Colao has an extensive track record of successful innovative and competitive biotechnology launches in oncology, nephrology, rheumatology, and ultra-rare diseases. He earlier served as Vice President of the U.S. Metabolic Disorders Business Unit where he established Alexion's second business unit and successfully launched two novel enzyme replacement therapies including Strensiq®. Prior to Alexion, Mr. Colao spent 18 years at Amgen, where he held roles of increasing responsibility in global sales and marketing, departing in 2013 as Vice President of Inflammation Sales. He earned his MBA from the University of Southern California in Los Angeles and his B.S. in applied mathematics and economics from the University of California, Los Angeles. Ed Carr, Chief Accounting Officer, joined Abeona in 2018, bringing more than 25 years of corporate public accounting experience to the Company. Most recently, he served as Vice President and Assistant Controller at Coty Inc., a publicly listed multinational company. Mr. Carr has significant experience managing various accounting, financial reporting, internal controls, tax and treasury matters. Prior to Coty, he served for more than 10 years as Chief Accounting Officer at Foster Wheeler AG. Mr. Carr, who is a Certified Public Accountant, began his career at Ernst & Young LLP. He holds a B.S. and Master of Professional Accountancy from West Virginia University. Kaye Spratt, Ph.D., joined Abeona as Senior Vice President of Regulatory Affairs in 2015, bringing more than 20 years of scientific research, product development and translational expertise, with a focus on transitioning novel biologics through nonclinical and translation into Phase 1/2 human clinical trials. Dr. Spratt also has experience defining nonclinical development plans and strategies to U.S. regulatory authorities. Prior to Abeona, she served as Director of Preclinical and Quality Control at Sangamo BioSciences from 1997 to 2015 where she had increasing responsibilities including leading a team of scientists developing novel cell and gene therapy products based on the Sangamo Zinc Finger Therapeutic strategy platform. Before joining Sangamo, Dr. Spratt was a Senior Scientist and Project Leader at Somatix Therapy Corporation. In her various roles, Dr. Spratt has gained experience in the non-GLP and GLP toxicology and nonclinical safety evaluation of novel biologics and products for product development. Her primary biotech experience has focused on the development of non-viral and viral-mediated gene therapy approaches for monogenic and infectious diseases. Dr. Spratt also has more than 40 publications related to gene therapy. She earned her Ph.D. in microbiology with a focus in molecular biology in infectious diseases from Meharry Medical College and holds a B.S. in biology from Langston University. 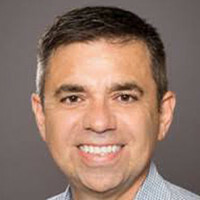 Juan Ruiz, Ph.D., joined Abeona as Chief Medical Officer in 2017 and transitioned to Head of European Medical Affairs in October 2018, bringing years of experience in clinical drug development including C-level positions at Lykera Biomed and Digna Biotech, where he spent more than 10 years leading teams dedicated to developing gene therapy translational medicine programs. His proven track record demonstrates a start-to-finish scope, from early preclinical and proof of concept studies to manufacturing, regulatory IND and IMPD submissions, clinical trial design and execution, as well as manufacturing and quality control of the adenoviral vectors. Dr. Ruiz has been instrumental in achieving multiple Orphan Product Designations, has led teams for successful Scientific Advice and Protocol Assistance meetings with the FDA and EMA, and has helped design Patient Reported Outcomes (PRO) in the U.S. to assess skin outcome measures in patients with systemic sclerosis for use as primary endpoints in late-stage clinical trials. He is the author of more than 40 peer-reviewed journal articles and book chapters and is an inventor on multiple issued patents. Dr. Ruiz earned his Ph.D. in molecular biology from the University of Navarra. 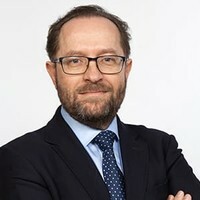 He was a post-doctoral fellow at the University of Connecticut and earned his MBA from the IESE Business School at the University of Navarra. Neena Patil joined Abeona as Senior Vice President of General Counsel and Corporate Secretary in 2018, bringing nearly 20 years of global pharmaceutical and biotechnology experience. She most recently served as Associate General Counsel and Vice President of Legal Affairs at Novo Nordisk. In this role, Ms. Patil developed legal and compliance strategies for the company and led the team responsible for providing comprehensive legal support to Novo Nordisk’s U.S. business. Her experience spans the handling of complex corporate, regulatory, litigation and compliance matters. Ms. Patil has worked extensively on matters related to product development, manufacturing, marketing approval and commercialization across therapeutic areas including in rare diseases and has also developed a track record for building key legal functions and organizations necessary to support growing businesses. Ms. Patil’s experience prior to Novo Nordisk includes various positions at other global biopharmaceutical companies including Pfizer and Sanofi. 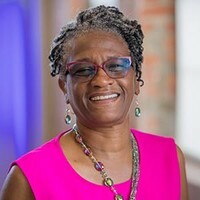 She earned her JD and Masters in Health Services Administration from the University of Michigan in Ann Arbor and her B.A. in political science from Georgetown University. Jay Bircher, Senior Vice President of Quality and Technical Operations, brings more than 28 years of pharmaceutical, biotechnology and medical device experience, knowledge and leadership in the areas of microbiology, quality assurance, quality control, regulatory compliance, validation, sterile manufacturing and operational excellence. Mr. Bircher has lead FDA (CBER and CDER), EMEA and other regulatory body inspections with successful outcomes. Prior to Abeona, he held quality positions of increasing responsibility with GlaxoSmithKline, Amgen, Tyco Healthcare and most recently Becton, Dickinson and Company (BD), where he was Head of Quality from groundbreaking of a 120,000 ft2-sterile manufacturing facility through an FDA pre-approval inspection (PAI) and eventual launch of several ready-to-administer, prefilled syringe products. Later in his tenure at BD, Mr. Bircher served as Head of Manufacturing where he was responsible for all formulation, fill and packaging operations. He holds a B.S. from Marshall University and is Six Sigma certified. Michelle Berg joined Abeona as Vice President of Patient Advocacy in 2015 and transitioned to Vice President of Patient Affairs and Community Engagement in 2017, bringing more than 17 years of experience in the gene and cell therapy, vaccine, gene editing and molecular diagnostic fields. Her current role encompasses development and provision of education and information on rare disease, drug development and gene therapy and advocating for change and awareness for the impact on communities served specifically through Abeona’s pipeline programs. Ms. Berg is a contributing author and speaker on patient-focused programming and rare disease advocacy. Prior to Abeona, she was the first hire with Aldevron, LLC, now a leading global contract manufacturing organization specializing in biological reagents for research and development through clinical trial use. In her role at Aldevron, she held multiple positions with increasing responsibility, contributed to the growth and reach of the organization and focused on developing strong relationships, collaborations and services. Additionally, she performed research on behalf of the Department of Plant Sciences at North Dakota State University. Ms. Berg earned her B.S. in biotechnology from North Dakota State University. Kristina Maximenko joined Abeona as Vice President of Human Resources in 2018, bringing significant experience in multiple functional areas such as recruitment, employee relations, organizational development and employment law with a focus on rapidly growing small- to medium-size companies. Most recently, Ms. Maximenko was Global Director of Human Resources at Advanced Accelerator Applications (AAA), an innovative nuclear medicine company that was acquired by Novartis in January 2018. 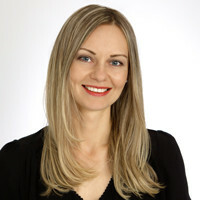 In this role, she led the human resources (HR) function across 11 international AAA locations and served as the human resources head in the U.S. Ms. Maximenko was instrumental in growing the company from about 400 people to more than 650 people globally in two years, setting up company-wide HR programs and building cohesive company culture. She also played a key role during the integration process of AAA into Novartis and was a member of AAA’s Executive Committee. Prior to that, Ms. Maximenko was a Global Human Resource Manager at FastGroup, a European technology company. 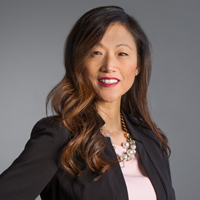 She established their presence in the U.S. and built the HR function from the ground up. From 2010 to 2012, Ms. Maximenko worked in Employee Relations Operations at Macquarie, an Australian investment bank, where she supported three business groups in all phases of employee lifecycle, international assignments and compliance. She earned her Master’s in international law from Far Eastern National University in Russia. Scott Nogi joined Abeona as Vice President of Business Operations in 2018. Prior to Abeona, he served as Executive Director of Kolot Chayeinu / Voices of Our Lives, where he led the business strategy and operations, finances and staff and board relations for the non-profit organization. Before that, Mr. Nogi was Vice President of Business Development at Access Pharmaceuticals, Inc. where he worked on out-licensing. He was also Vice President of Operation at SCO Capital Management, where he managed all back-office staff and systems. Mr. Nogi earned his MBA in management and strategy from the Stern School of Business at New York University and his BFA also from New York University. Kevin M. Flanigan, MD, is an attending neurologist at Nationwide Children’s and Professor of Pediatrics and Neurology at The Ohio State University College of Medicine. Certified by the American Board of Psychiatry and Neurology, Dr. Flanigan is the director of the Center for Gene Therapy in The Research Institute at Nationwide Children’s and a leading expert in neuromuscular disorders. He is also on the physician team for Nationwide Children’s world-class Neuromuscular Disorders program, which provides coordinated care with pediatric experts from more than a dozen specialties. 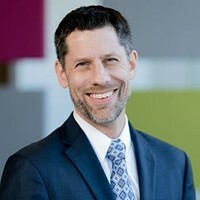 Dr. Flanigan earned his medical degree from Rush Medical College and completed his internship at the University of Michigan Health System before completing his Neurology residency and fellowship in Neuromuscular Disorders at the Johns Hopkins Hospital, and an additional post-doctoral laboratory fellowship in Human Molecular Biology and Genetics at the University of Utah. His primary research interest is in the genetic and molecular characterization of inherited neuromuscular diseases, and the development of therapies directed toward these diseases. A major focus of his laboratory concerns genotype/phenotype correlation in, with the intention of increasing our understanding of the pathogenesis in this disease and translating this understanding into improved therapies. Dr. Flanigan is named among the “Best Doctors in America” and joined Nationwide Children’s Hospital in October 2009. Maria Escolar, MD, MS is Director, Program for the Study of Neurodevelopment in Rare Disorders (NDRD) and Associate Professor, Pediatrics, University of Pittsburgh School of Medicine. The NDRD was established in 2002 because of the need of help children and their families understand the overall impact of rare neurological diseases in child development. Dr. Escolar is a graduate of the Escuela Colombiana de Medicina. She has a master’s of science in human nutrition from Columbia University and completed a residency in general pediatrics and fellowship in child development and behavior at Cornell University Medical Center in 1995. Dr. Escolar is board-certified in neurodevelopmental disabilities. She has 15 years of experience as a practicing clinician and researcher. Dr. Escolar has authored multiple original manuscripts, including two New England Journal of Medicine articles. She is nationally and internationally known for her work in neurodevelopment of children with leukodystrophies and mucopolysaccharidosis. Her research focuses on behavioral and neuroimaging outcome measurements. Steven Gray, PhD is an Associate Professor in the Department of Pediatrics at the University of Texas Southwestern (UTSW). Dr. Gray earned his PhD in molecular biology from Vanderbilt University in 2006, after earning a BS from Auburn University. He performed a postdoctoral fellowship focusing on gene therapy in the laboratory of Jude Samulski at UNC-Chapel Hill. Dr. Gray is the director of the UTSW Viral Vector Facility and maintains affiliations with the Department of Molecular Biology, the Department of Neurology and Neurotherapeutics, the Eugene McDermott Center for Human Growth and Development, and the Hamon Center for Regenerative Science and Medicine at UTSW. Dr. Gray's core expertise is in AAV gene therapy vector engineering, followed by optimizing approaches to deliver a gene to the nervous system. As AAV-based platform gene transfer technologies have been developed to achieve global, efficient, and in some cases cell-type specific CNS gene delivery, his research focus has also included preclinical studies to apply these reagents toward the development of treatments for neurological diseases. Currently these include preclinical studies for Rett Syndrome, Giant Axonal Neuropathy (GAN), Tay-Sachs, Sandhoff, Krabbe, AGU, Charcot-Marie-Tooth, Batten, and Austin diseases, and have expanded into human clinical studies to test a gene therapy approach for GAN. Erika F. Augustine, MD is a Senior Instructor of Neurology and Pediatrics at the University of Rochester Medical Center. She completed undergraduate studies at Harvard College and received her M.D. degree from the University of Rochester. Dr. Augustine completed Pediatrics and Child Neurology residency training at Children’s Hospital Boston in 2008, followed by fellowship training in Pediatric Movement Disorders and Experimental Therapeutics in 2010 at the University of Rochester. Dr. Augustine’s research interests include methodology of clinical research and experimental therapeutics in rare pediatric neurological disorders. Current work focuses on therapeutics in Juvenile Neuronal Ceroid Lipofuscinosis and on the epidemiology of Tourette Syndrome in minorities. She currently serves as Assistant Program Director for the NINDS-funded Experimental Therapeutics training program at the University of Rochester. She is also a member of the NIH Taskforce on Childhood Motor Disorders and is a consultant to the FDA Neurological Devices Panel. Jonathan Mink, MD, PhD, is a Pediatric Neurologist who specializes in movement disorders starting in childhood. He was attracted to pediatric neurology when he was a medical student and realized that he had an intellectual interest in the brain but enjoyed the challenges and rewards of caring for children. As a movement disorders specialist, he cares for children with a variety of conditions that impair voluntary movements, cause involuntary movements, or both. Such conditions include dystonia, chorea, tics, myoclonus, tremor, stereotypies, parkinsonism, and combinations of these such as may occur in conditions like cerebral palsy. In addition to movement disorders, neurodegenerative diseases are also a focus of his clinical practice. His research has been focused on understanding brain mechanisms involved in the control of movement or where disorders cause involuntary movements. 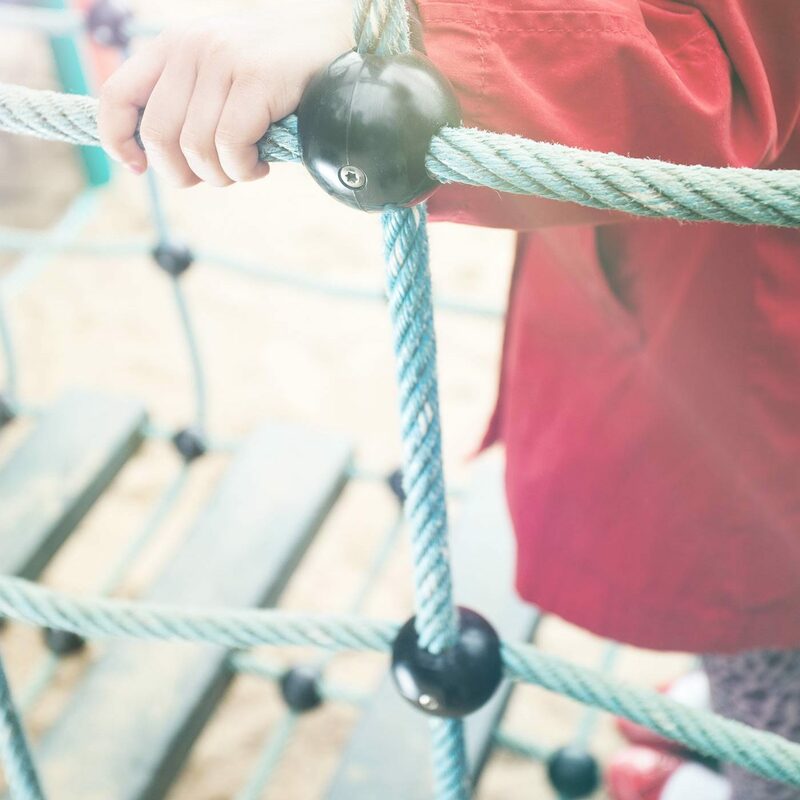 The research involves neurophysiology, direct measurement of movement abnormalities, rating scales, and longitudinal assessments over the course of development and disease. More recently, his work is included clinical trials and studies of factors that impact the function of children with movement disorders. In addition to his clinical practice and research, he directs the Child Neurology residency at the University of Rochester. Dr. Mink serves on a number of advisory boards including the Tourette Syndrome Association, the Dystonia Medical Research Foundation, the Batten Disease Support and Research Association, the NINDS Board of Scientific Counselors, and the Pediatric Advisory Committee of the FDA. He is also an Associate Editor of Neurology.